Tote bags are a great confidence-building project for the beginner sewer and quilter. 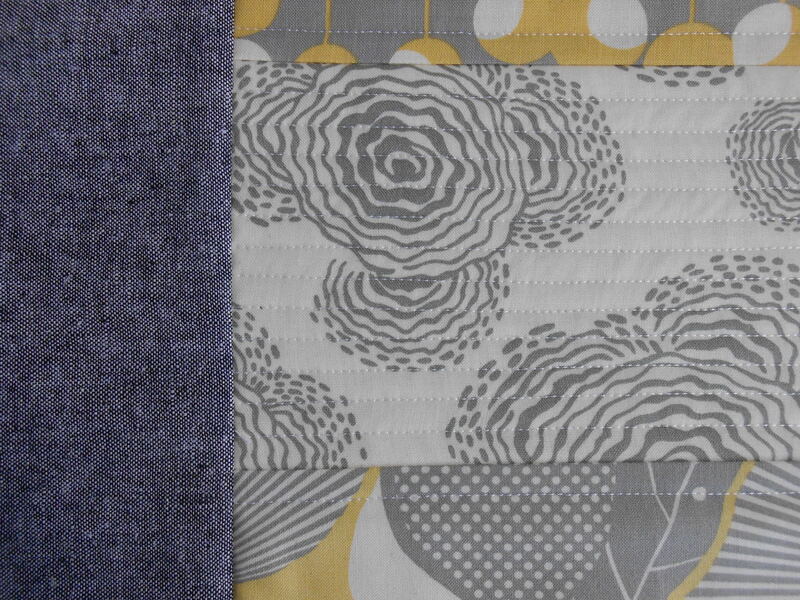 They are quick to go together, and you can practice quilting skills without the bulk of a full quilt. No pattern is needed because there is so much freedom in making this type of bag. 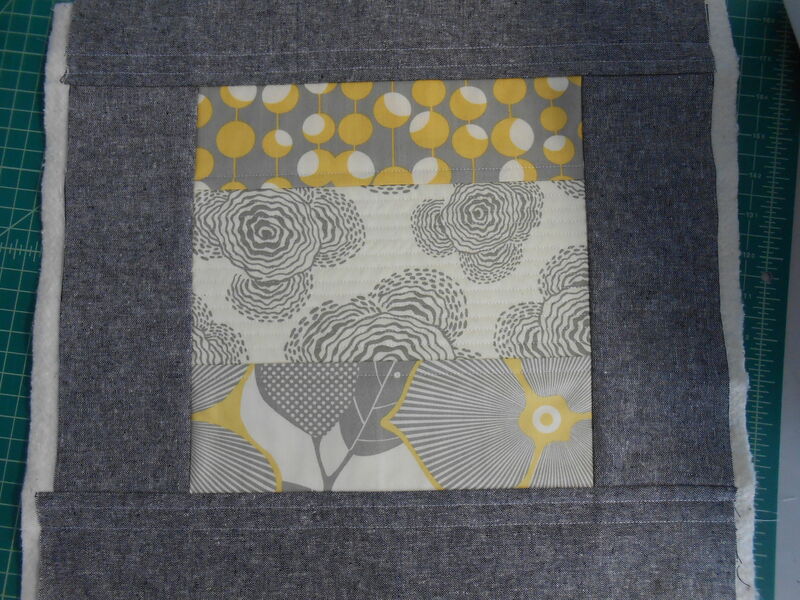 I started making a quilt-as-you-go version using three wide gray and yellow scrap strips from Amy Butler’s Midwest Modern line and Robert Kaufman’s Essex Yarn Dyed Linen in black for the borders/handles. 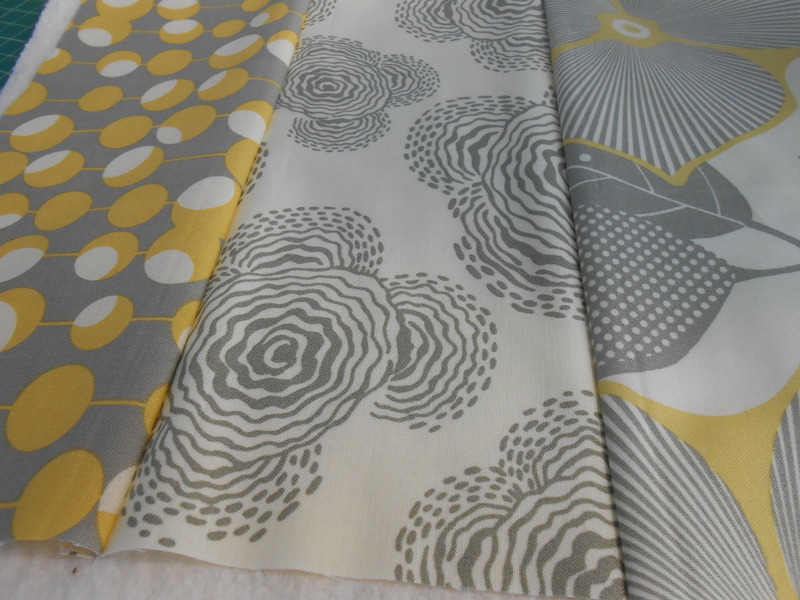 Loving the versatility of that fabric – you can use it in just about any project and it is gender neutral. 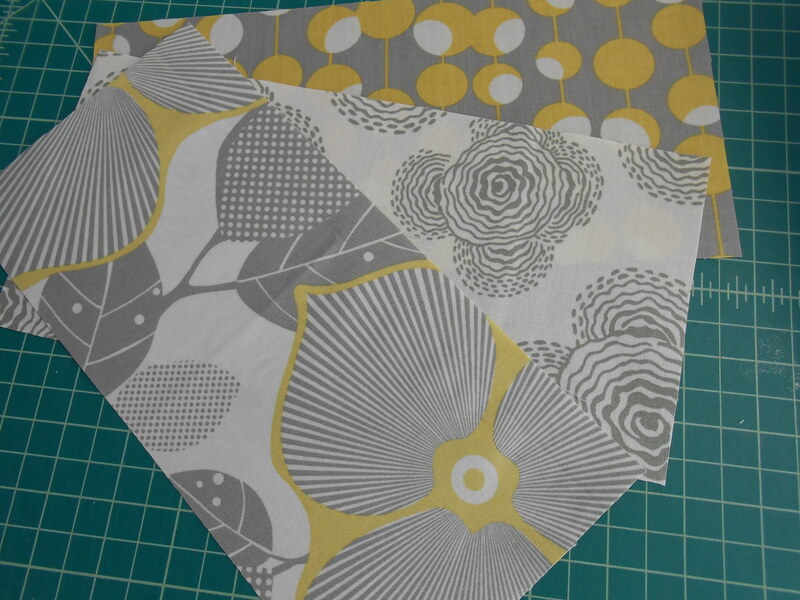 Gather enough strips of scrap fabric to fill the area on the tote desired. You can go for a minimalist look and do a small pop of color, or the majority of the bag can be scrappy. Cut out two rectangles of 100% cotton batting slightly larger than you want your finished bag to be – at least 1/4 of an inch on all sides. You can make it any size you want. 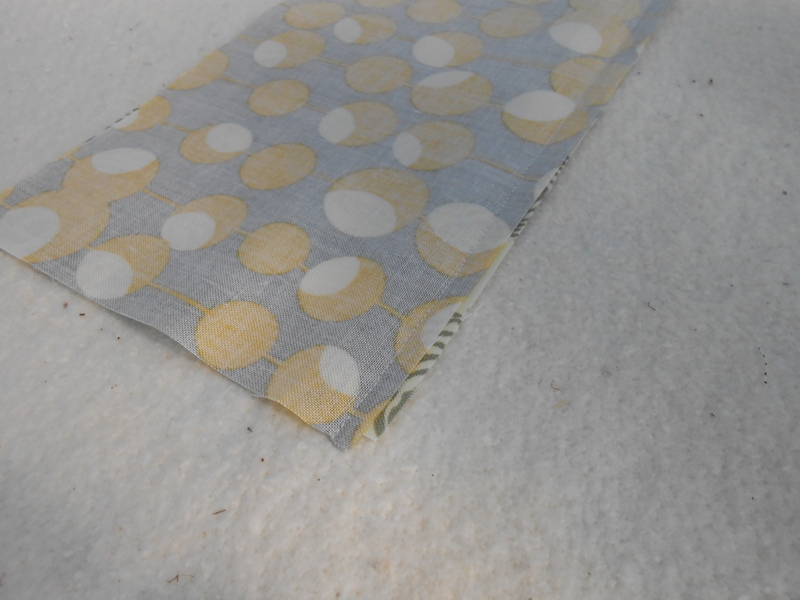 I fused Heat N’ Bond Non-Woven Craft Extra-Firm Fusible Interfacing (purchased by the bolt from Walmart.com) to the back of the batting for stability. If you do not use interfacing, your bag will not have shape, and will appear limp. (Trust me – I’ve made that mistake!) 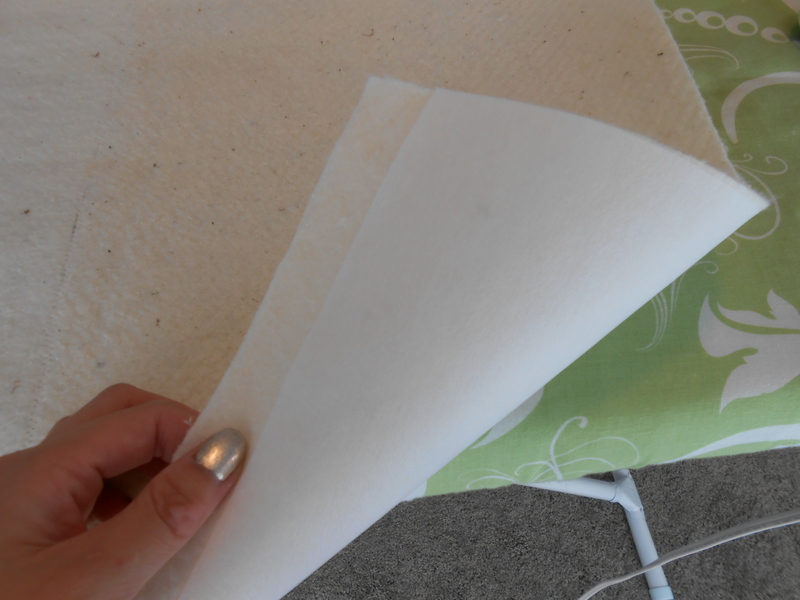 It is crucial to use only cotton batting, because polyester batting will melt if you attempt to iron interfacing onto it. Batting side up, place two strips of fabric (right sides together) down on the batting (start in the center) and stitch down one side. 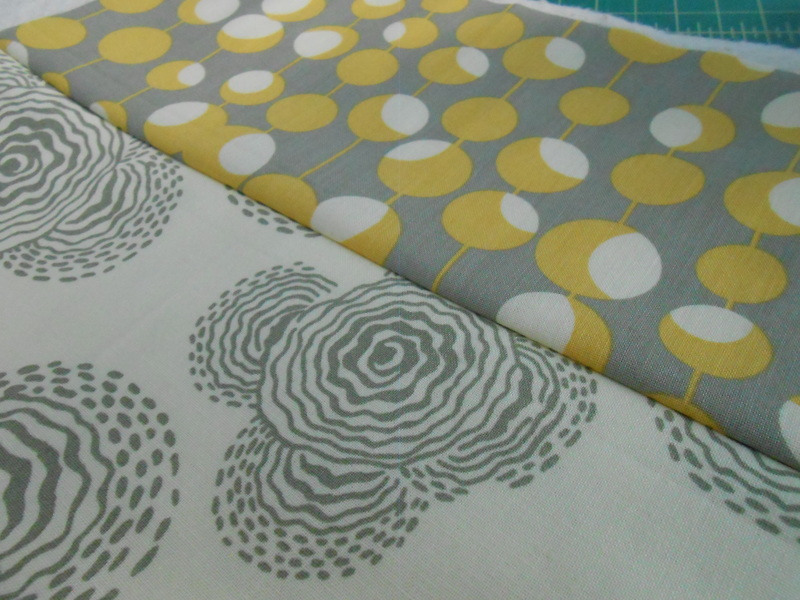 You can use either ¼ or 1/2 inch seam allowance. Press the strips apart. Repeat on the other side of the strip that will remain in the center. Press the next strip down so that seams are flat. 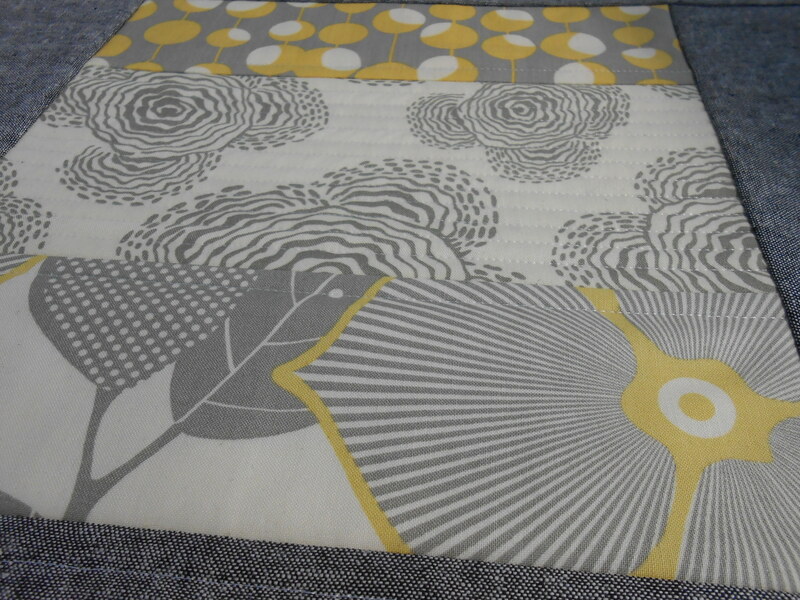 Quilt as desired – you can echo quilt on either side of seams as I did, or do something entirely different. 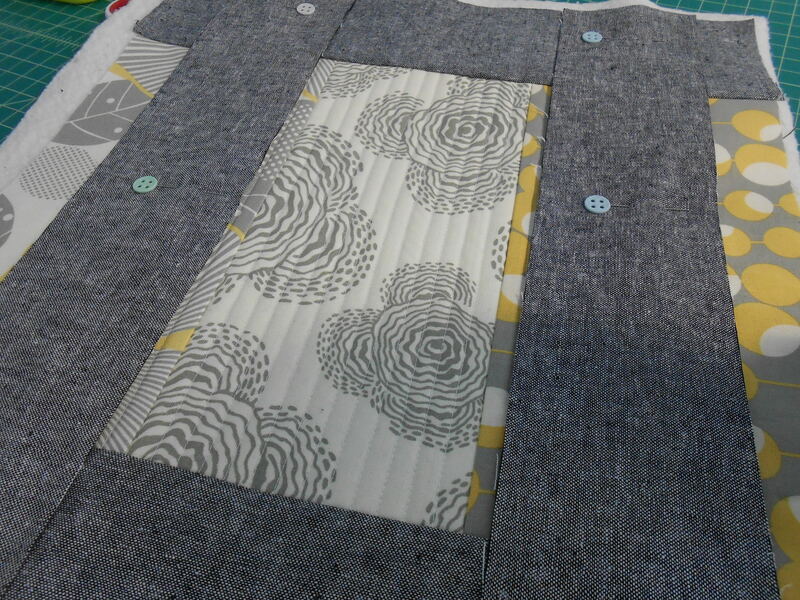 Because you’re quilting down the layers as you go, you can actually skip this step if you do not want visible stitch lines. 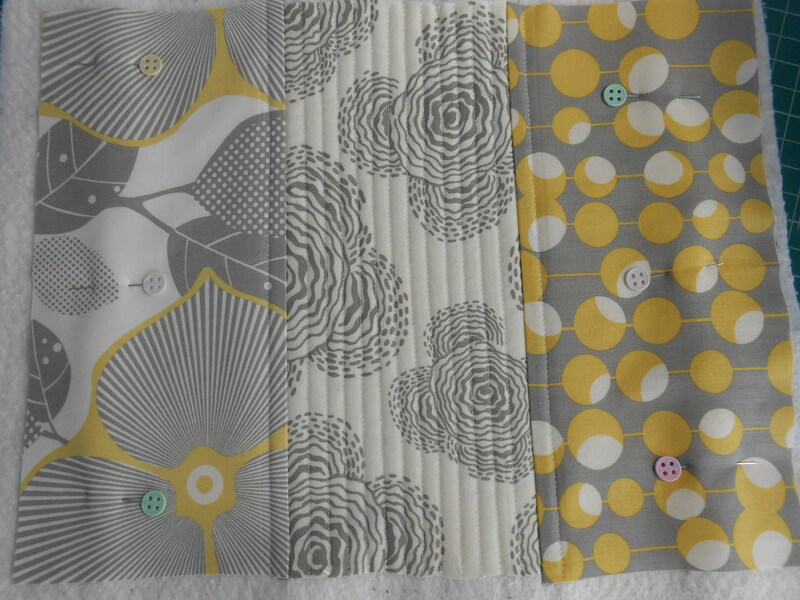 Pin the border strips on the edge of your scrappy quilting and stitch down on the inside edges so when you press them afterward they flip out. Quilt the border strips along a minimum of one seam line so they stay in place. 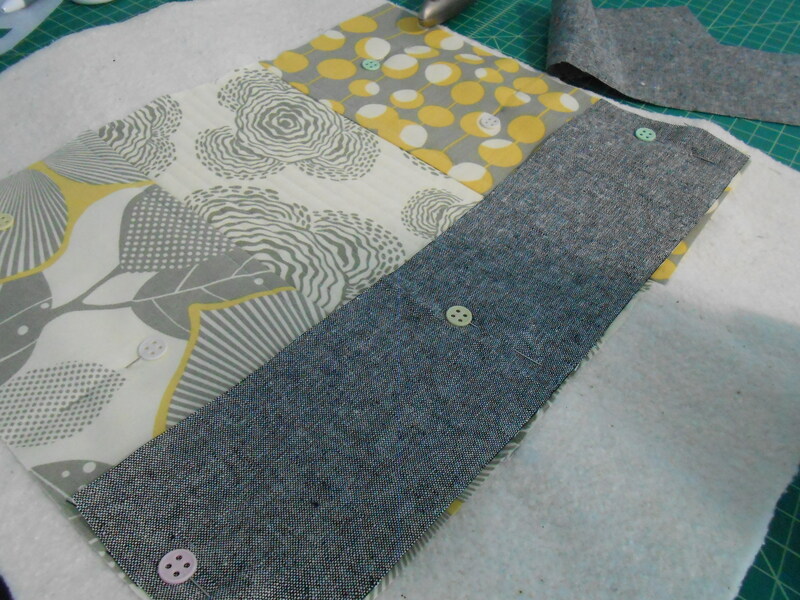 Repeat the steps above on your second piece of batting/interfacing. In part two of this tutorial, we’ll walk through the steps of making handles, the bag’s lining, a zippered interior pocket, and constructing the finished bag with NO HAND SEWING! One Response to "Quilt-As-You-Go Tote Bag tutorial: Part 1"
I’m just planning to make a bag and I love some of the advice you have given. I will definitely be back when I actually do make that bag. Thanks for sharing.